Six professional Pages templates for businesses. Is there a better alternative to Pages Templates Expert? Is Pages Templates Expert really the best app in Illustration category? Will Pages Templates Expert work good on macOS 10.13.4? 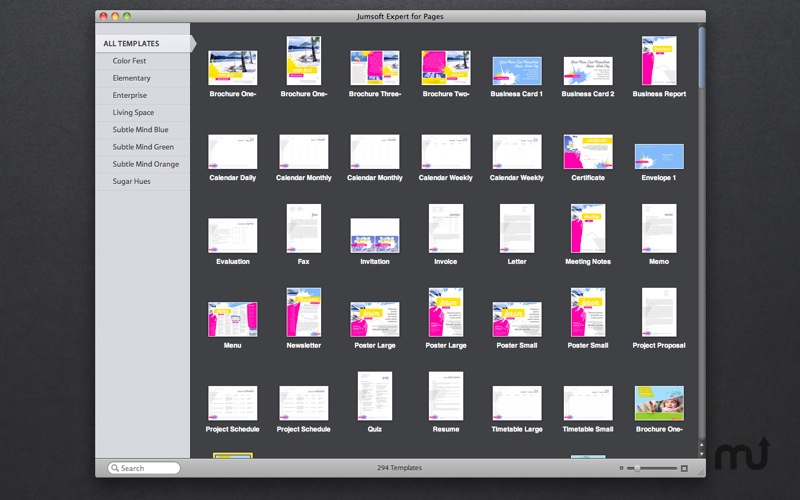 Jumsoft Expert for Pages is a style kit for your business. The easiest way to put a face on your business and make it stand out. Created for someone who has an attitude and does not shy away from showing it. See all of the templates here. Pages Templates Expert features six packs with different designs: Color Fest, Elementary, Enterprise, Living Space, Subtle Mind, and Sugar Hues. Each of them contains more than 80 layouts for virtually any type of documents you may need in your office. Give your clients and partners a "wow" moment!